What kind of Christianity supports Zionism? I'm writing an essay about Christian Zionism, and I'm a bit unclear on the end-times beliefs of pre-millennialism and post-millennialism. I understand the basic timelines of both, but where does Jewish emigration to Israel fit in? At what point (and in which belief system) are Jews either supposed to convert to Christianity or be ruled by a tyrant? The Zionist movement, begun in the late 1890s, found fulfillment in 1948 when Israel was officially recognized as a state and granted sovereignty as a nation by the United Nations. This is when, technically, the political Zionist movement ended and the ideology of Zionism began, and as such, has become a much-debated topic. Christian Zionism is simply Gentile support of Jewish Zionism as based on the promises to Israel found in the Bible, passages such as Jeremiah 32 and Ezekiel 34. Christian Zionists are primarily evangelical and give support in any way possible to the Jewish state of Israel. The return of the Jews to the Promised Land is the fulfillment of prophecy and is seen, especially by dispensationalists, as a sign that the world has entered the end times. I realise this is only one Protestant pretribulation view, but it might help you to understand the timeline of events as they affect Israel with regard to the Tribulation that comes before the return of Christ to destroy the Antichrist and the enemies of Israel. It’s a contentious subject and hotly debated. One thing is clear, though, and it is that God has not finished with Israel. Ellis Skolfield, a historicist (which is closer to Preterist than to Pre-Mil Dispensationalism) builds his entire framework for understanding Daniel and Revelation upon a timeline that has two of Daniel's prophesies pointing to the re-establishment of Israel in 1948 and the recapture of Jerusalem in 1967, respectively. Skolfield's interpretation of the "two witnesses" of Revelation is that one witness is the Christian church and the second witness is the faithful among Israel. Thus to Skolfield, himself a Christian of Jewish ancestry, the modern nation of Israel is a direct fulfillment of prophecy and true inheritor of the promises that God made to ancient Israel. Skolfield believes that the millenium and the tribulation occur at the same time. He argues that chillioi is an indefinite plural, so the prophecies about the Millenial kingdom should apply to a period of time that is millenia (plural), not millenium (singular). Thus as soon as Jesus ascended into Heaven, his millenial kingdom began. Likewise, as soon as the Apostle's prophesied the first persecution, the Tribulation began, and continues until today. That also means that the unbinding of Satan has already occurred. Given that Israel was reborn, Skolfield believes that all prophesies about the end times have been fulfilled, except Christ's return, which can therefore be at any time. He said that many scriptures refer to the "Last Trumpet". He believes that they all refer to the same event, so that the final end of the tribulation and Christ's return and the rapture and the Seventh Trumpet of Revelation all describe the same event. There will not be two big battles, one at the beginning of the millenium and one at the end. There will only be one. The misinterpretation that he claims to correct is that Revelation presents a repetitive, telescoping timeline, which keeps backing up and going over the same time period repeatedly, giving different details. The structure of Revelation has confused people into thinking that there are two battles and a longer period of time than his interpretation requires for the time of the end. Not the answer you're looking for? Browse other questions tagged eschatology judaism israel jews premillennialism or ask your own question. 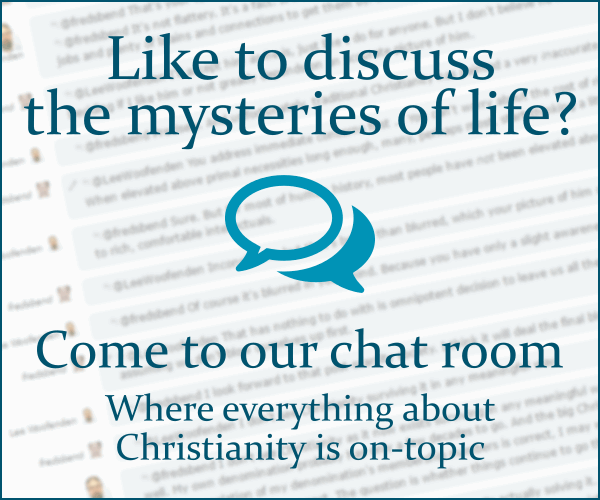 At what point did Judaism and Christianity diverge? What Christianity thinks about the God of present day Judaism? What O.T passages do premillenialists believe to be about the Millennial Kingdom? What did salvation mean to the Israelite people of the OT? What is the Ezekiel War Theory?